Fashion Friday Grab Bags from $9.98 & FREE Shipping! Right now at Cents of Style choose from 3 different Grab Bags for great prices. All orders ship for FREE! Select your grab bag and use promo code GRABBAG50 at checkout. Grab bags will include shirts, tops, skirts, pants, kimonos, lightweight sweaters or jackets! The accessories can be hats, sunglasses, jewelry, scarves, hair ties, socks and the list goes on! I have ordered these grab bags before and LOVED the surprise items. 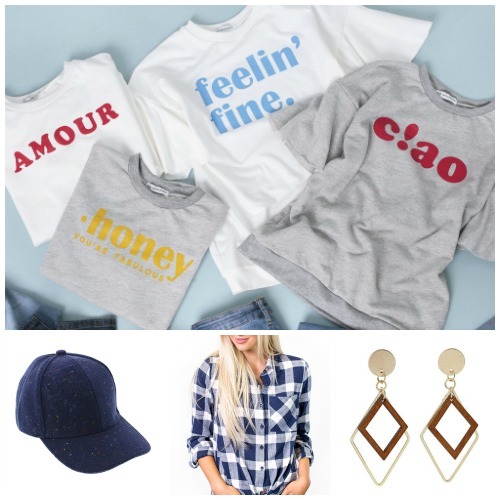 I have scored graphic tees, adorable mittens, and fun, unique jewelry.